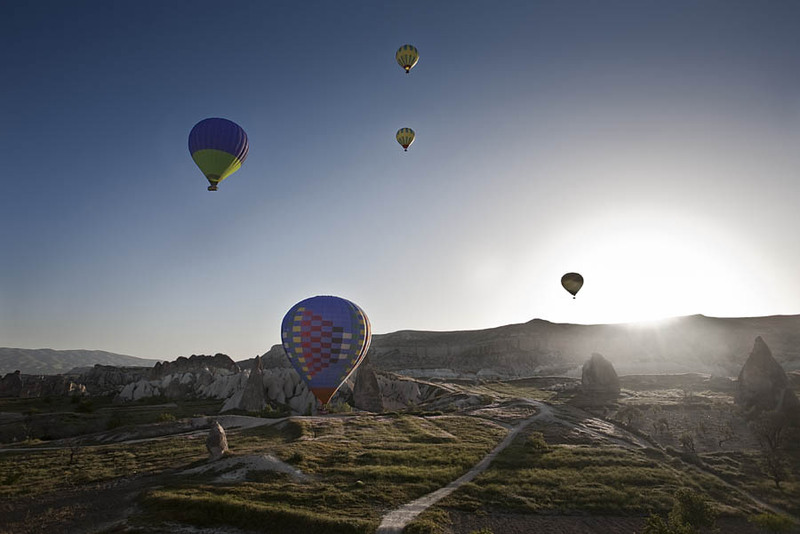 Hot air ballons above Cappadocia, Turkey. During our early morning flight, light wind pushed us randomly above sharp rock spikes. The pilot moved up and down (the only thing he can do on a engineless ballon) to avoid trees and dangerous cliffs before finding a hidden prairie to land safely the whole crew.